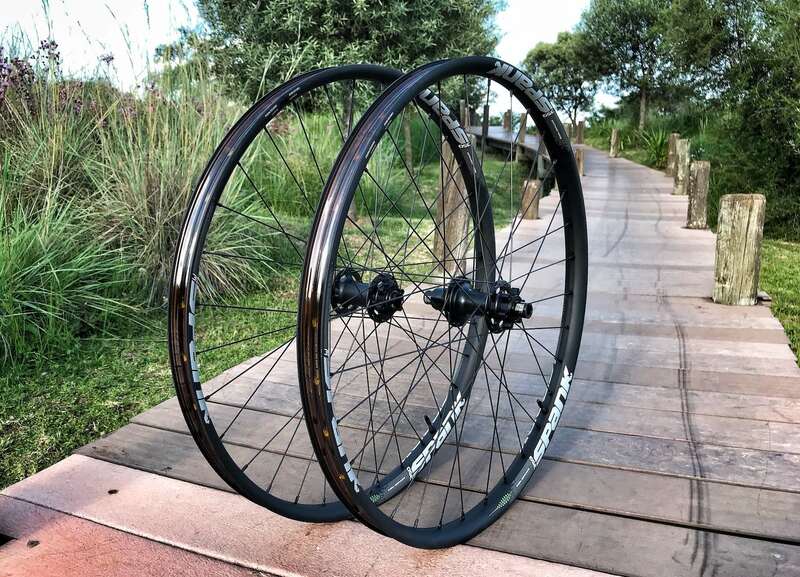 Tuned Wheelset you may ask? 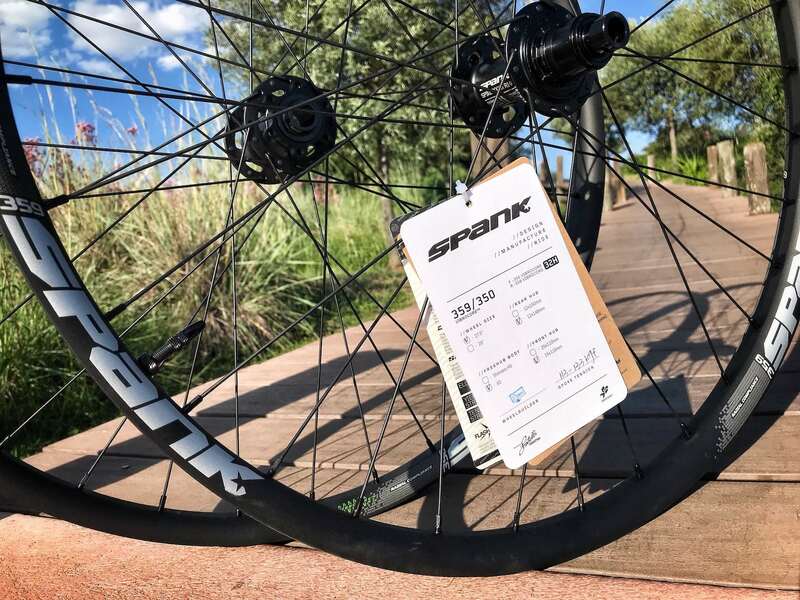 Spank have essentially combined a different front and rear wheel profile tuned for a specific job – our wheelset comprising of the 350 Vibrocore front rim and the all-new 359 Vibrocore rear rim. 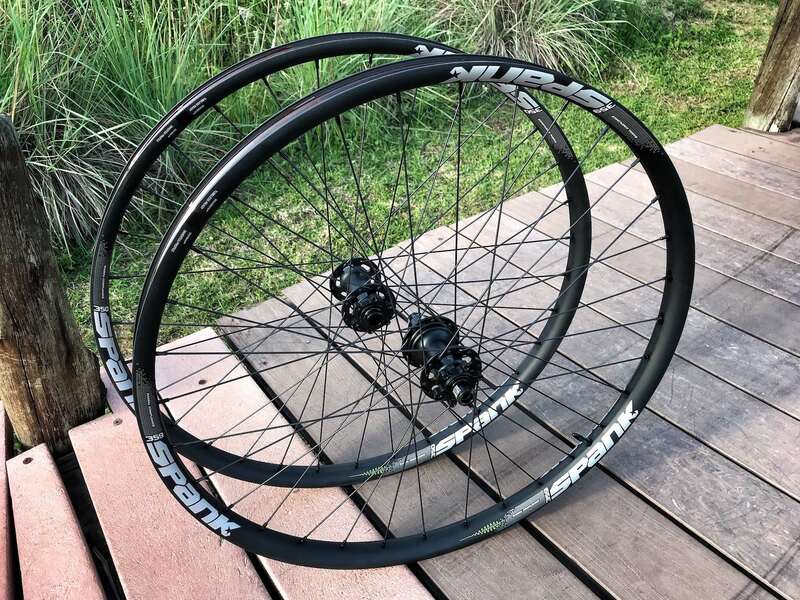 Developed with Amoury Pierron and the Riding Addiction team, these wheels are designed for heavy hitting competition gravity use (Downhill/ Freeride). 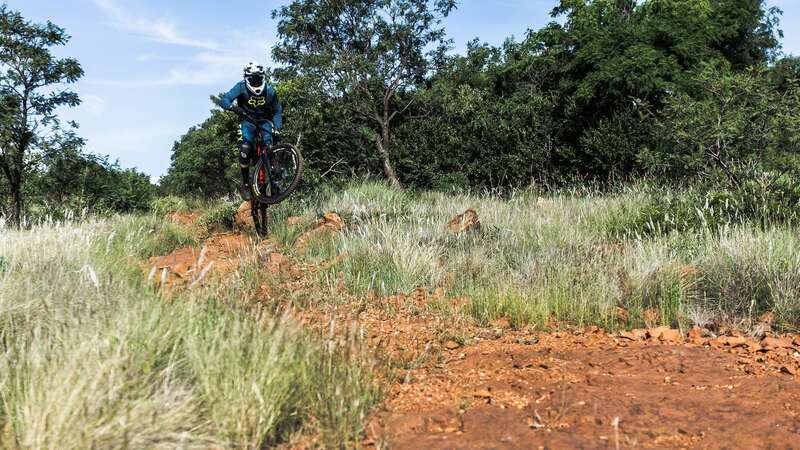 Based in Johannesburg, South Africa – notorious for its relentless and rocky terrain – we have broken, dented and buckled our fair share of rims. 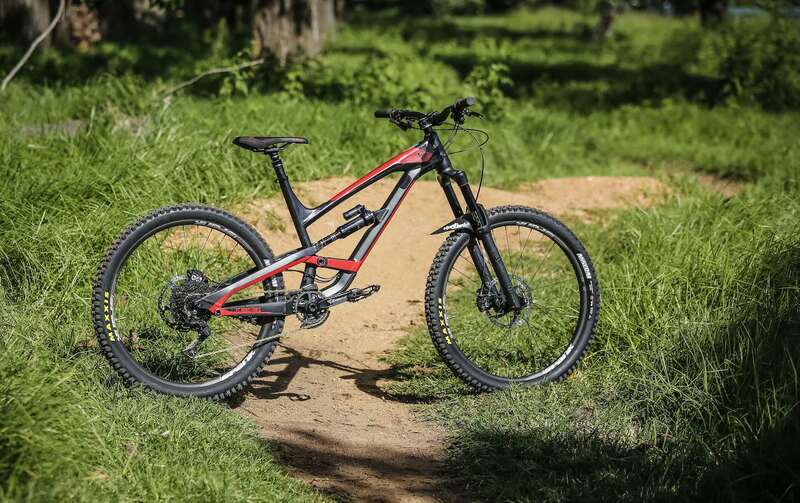 For this reason alone we opted for the Downhill MTB 350/359 option available from Spank, heavier but much much stronger. 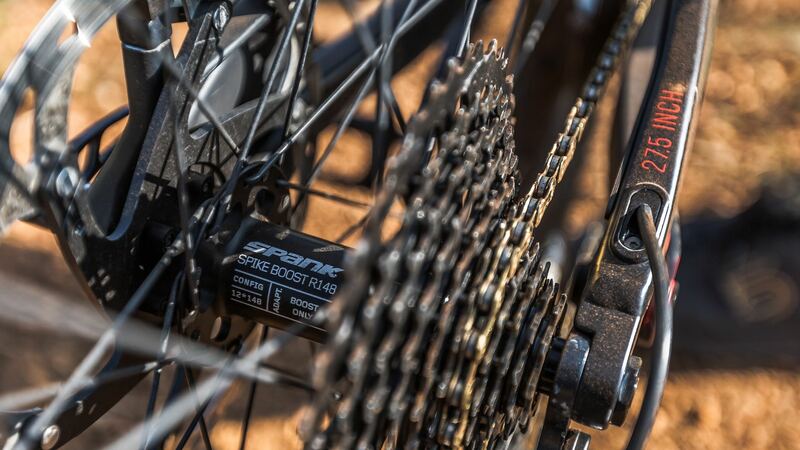 Built around Spank’s 32H J-Hook hubs, the front Vibrocore rim features a 17mm sectional depth (enhancing compliance and traction) while the rear Vibrocore rim features a 19mm sectional depth (added responsiveness and impact strength). 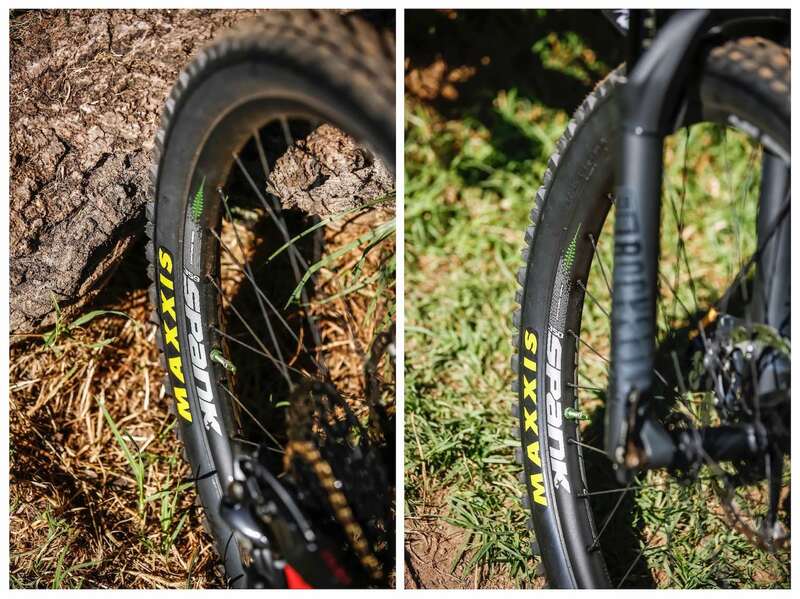 Both rims have a 30.5mm inner width, providing consistent tire profiles and handling characteristics. 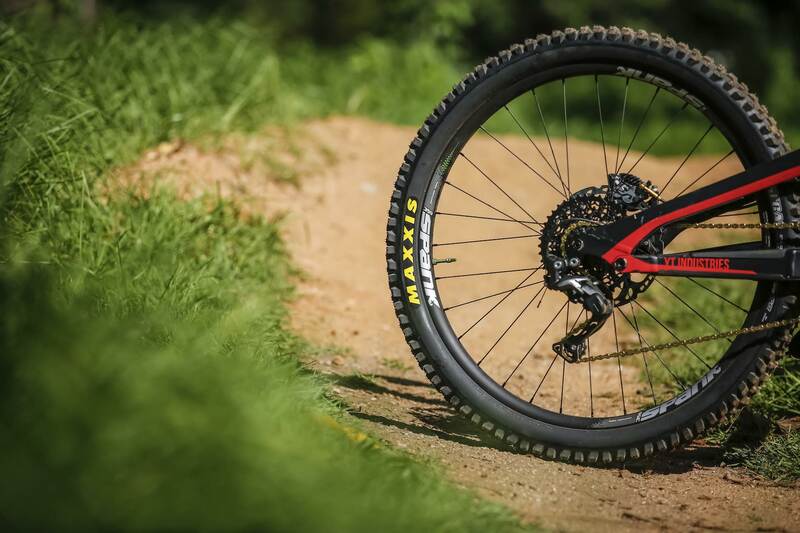 Mountain bike rims with a built in vibration damping system – Vibrocore. 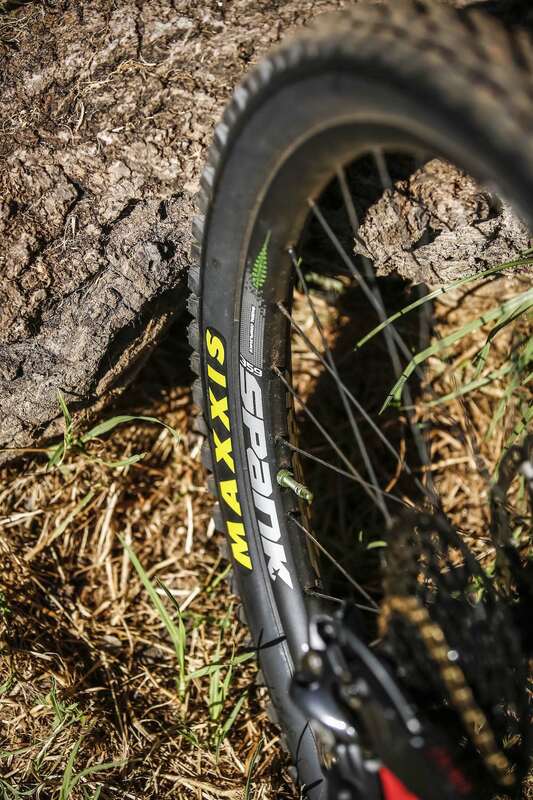 A complex, biodegradable foam that is injected directly into the rim to reduce vibrations and/or noise. Performing a similar function to the soft tissue found inside bones, it increases inner wall strength and absorbs vibrations – makes sense! It also helps to increases torsional strength and increases the overall fatigue life of the rim. The wide and low profile – 17/19mm sectional profile height and 35mm outer width, 30.5mm inner width – gives an added 30% radial compliancy. 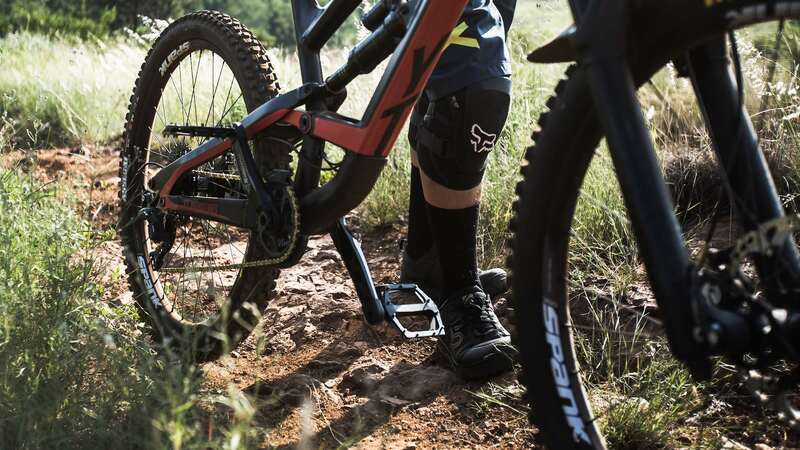 This reduces deflection off the wheel when hitting rocks, rutted corners, roots, etc and increases tracking ability. 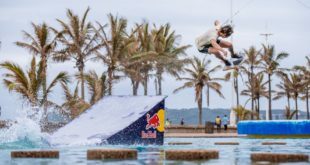 The wheels are able to flex radially and move with the rider’s momentum and the bike’s direction, rather than fight against it or jump off line. 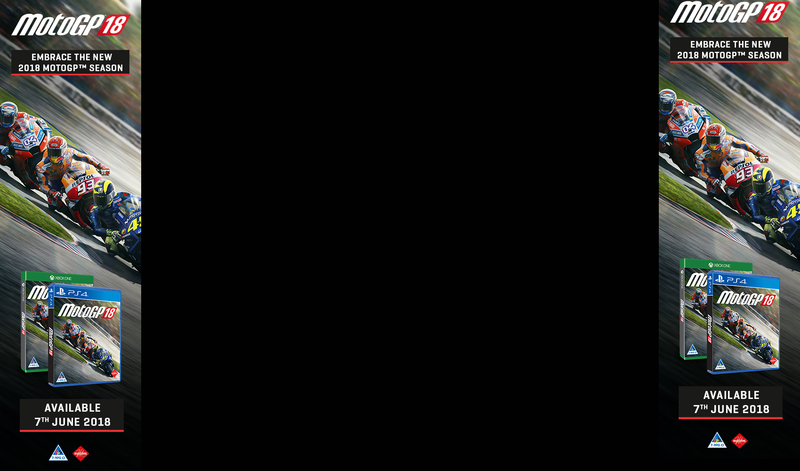 Lateral stiffness and torsional strength. 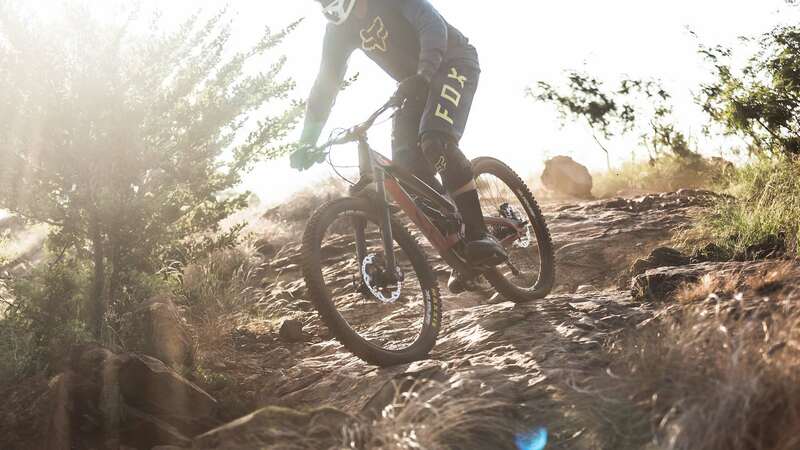 While the radial compliancy allows for more flex, the enhanced lateral stiffness keeps the wheel true. 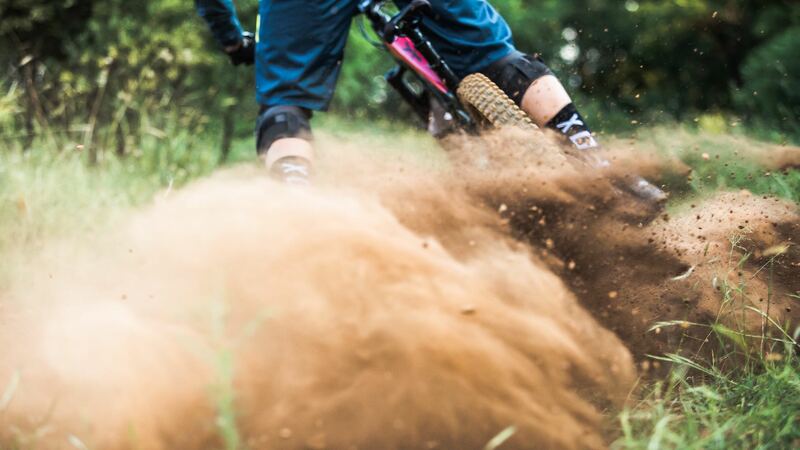 Torsional strength is enhanced, helping reducing the likelihood of the wheel buckling, or taco’ing. 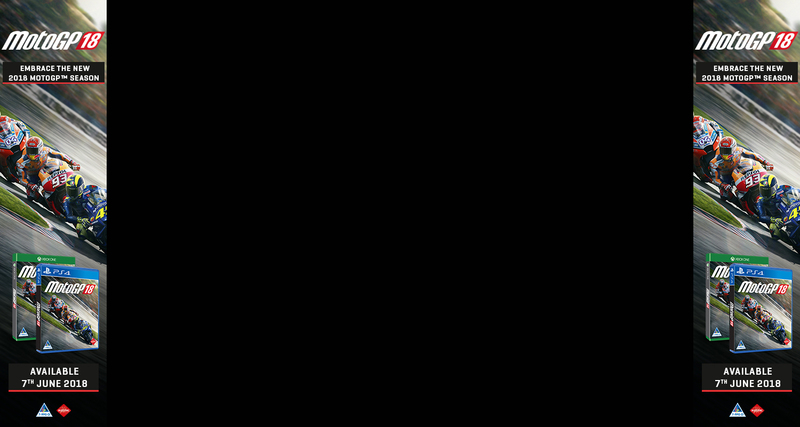 The inverted tube well design offer greater cross sectional strength. 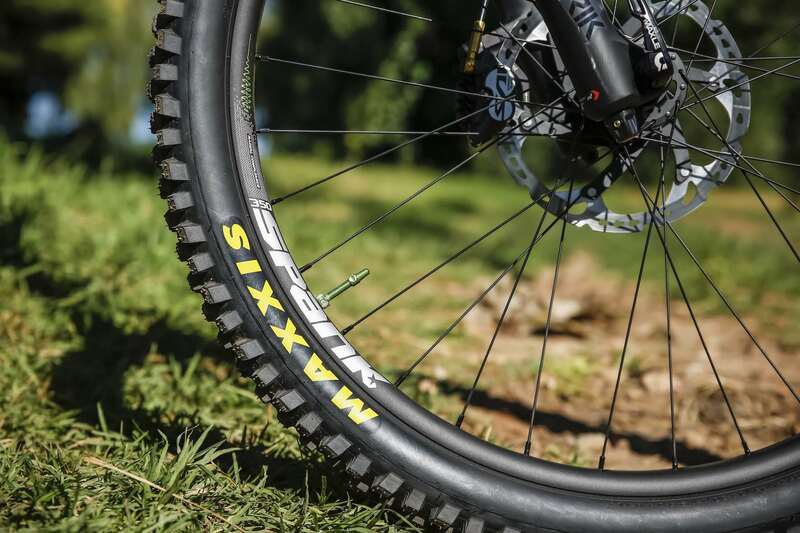 Improved ease of tubeless application. Enhanced tyre retention. 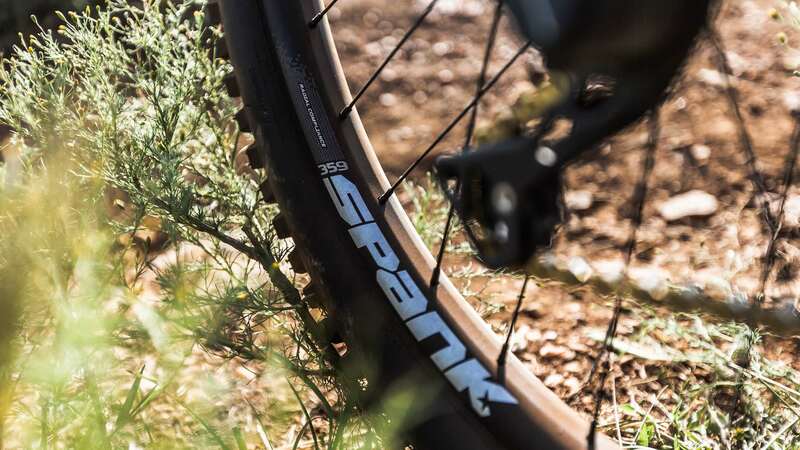 The rim is extremely versatile, fitting tires from 2.0″ to 2.6″ with no issues or negative squaring off of tyre profiles. 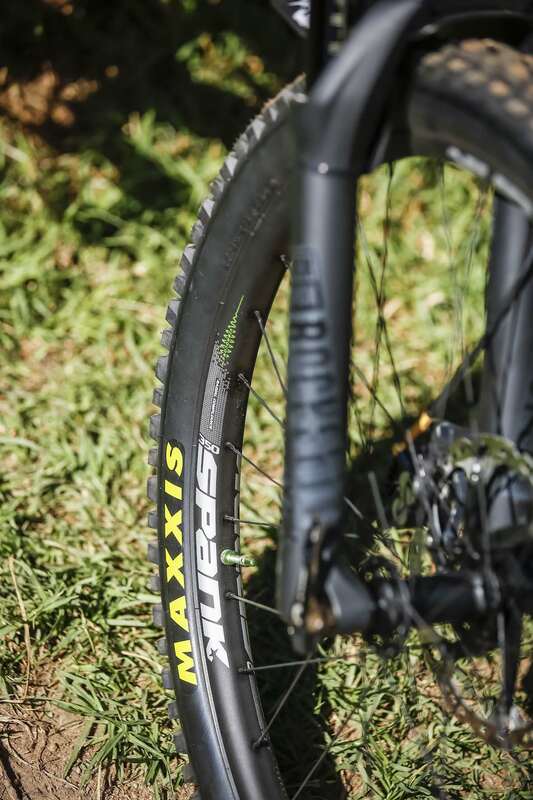 Enhanced anti-burp and tyre retention tubeless performance. Ridged bead hooks create air seals between the rim and tyre, reducing pinch flats and burps. Straight from the get go the overall feel of the wheels was comforting. 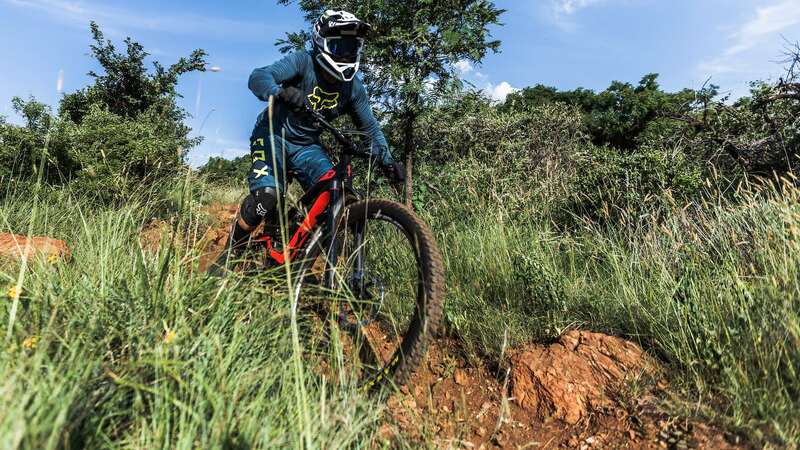 The 350/359 Vibrocore’s are ridiculously confidence inspiring, having ridden with carbon rims over the past few years, it was great to finally let go and just smash through everything the trails had to offer without having to worry about cracking or breaking a rim. 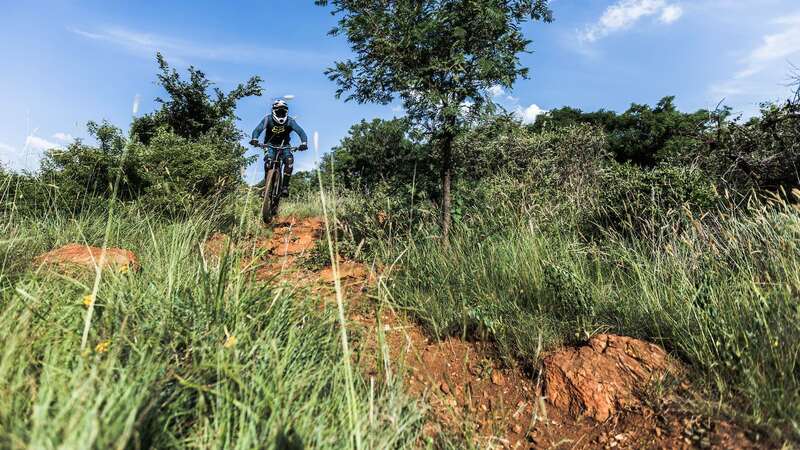 Tracking through rock sections, loose/ rough corners, and braking bumps came with ease and not being able to put the bike where you wanted it was now a thing of the past. The tougher rear wheel build makes it snappy while the front end, having more radial compliance, feels more plush resulting in the perfect combination. 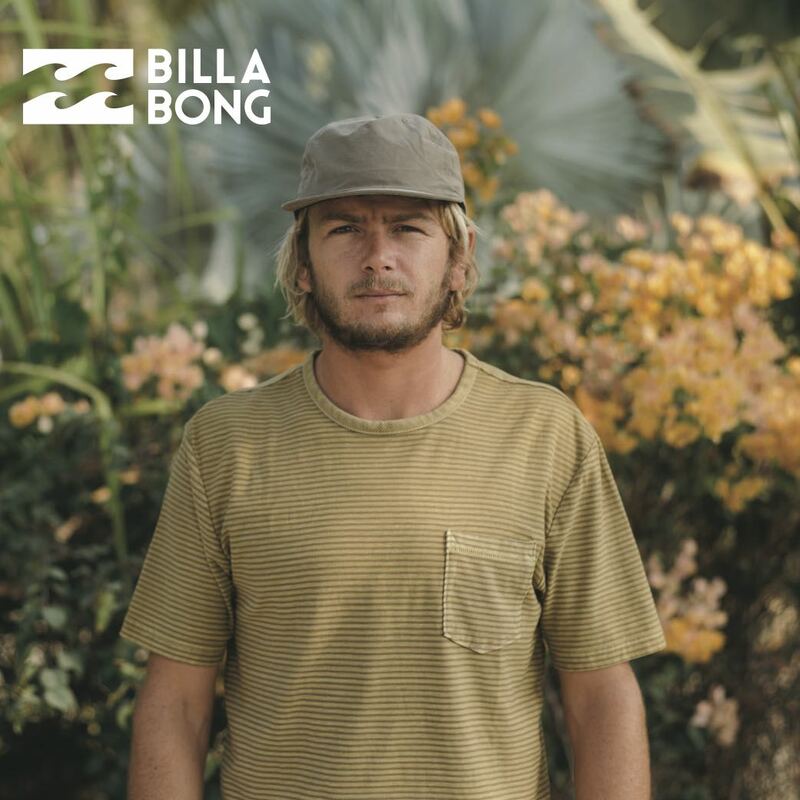 The ride feel is smooth over the rough stuff with a lot less chatter (whether this be from the radial compliance or the Vibrocore, or a mixture of both) which is extremely welcoming. 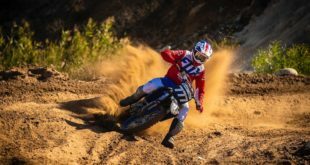 Improved traction was a big bonus for us and something that we did not really expect – throwing the bike into the corners and sticking to the line while maintaining/ gaining speed is awesome. After a month of riding and putting the 350/359 Vibrocore’s through their paces (chilled first impression ride, Regional Enduro racing, video shoot ride on some of the rockiest terrain we could find, and the usual weekly fun rides) we did manage to put a small ding into the rear rim, after a hard landing onto a sharp lurking rock. 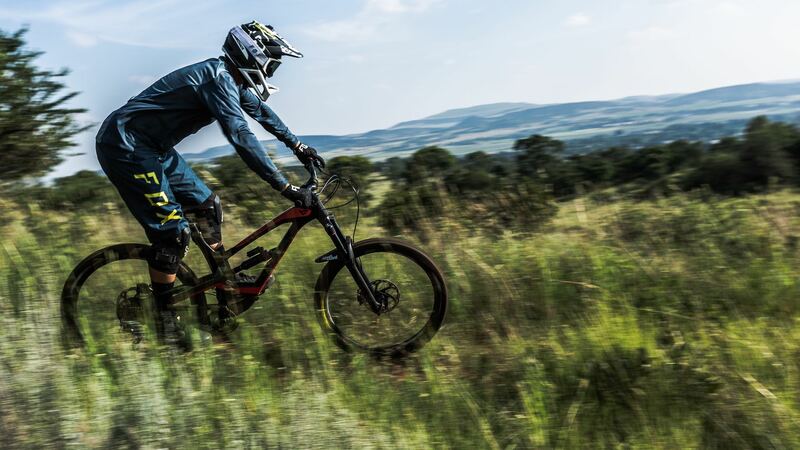 However, the rim remains structurally sound and there has been no effect on the ride, tubeless setup or tyre pressure. 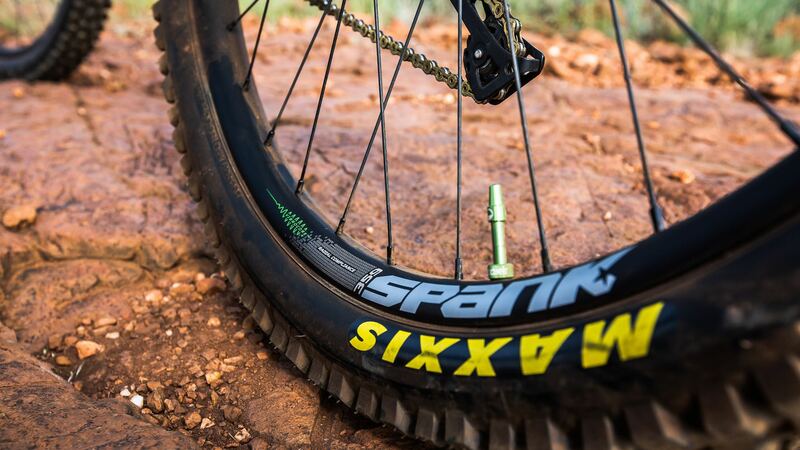 The Spank 350/359 Vibrocore Tuned Wheelset has to be one of the best we’ve ever ridden. 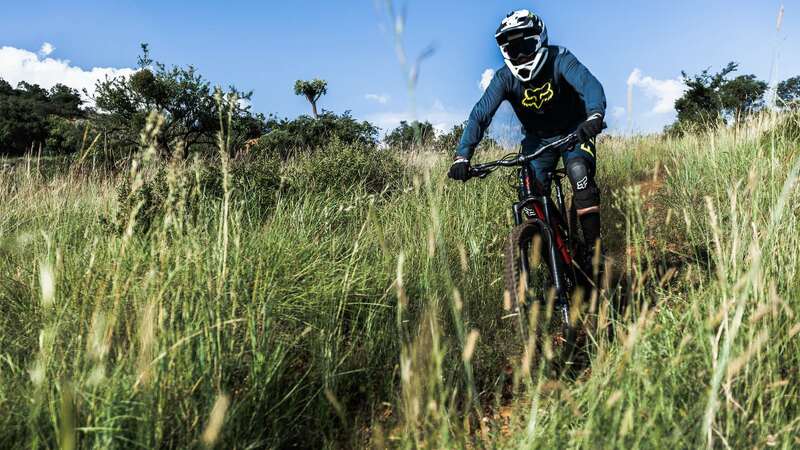 The wheels look the part and will take on anything you throw at them – built tough with all the technical advancements you could ask for. 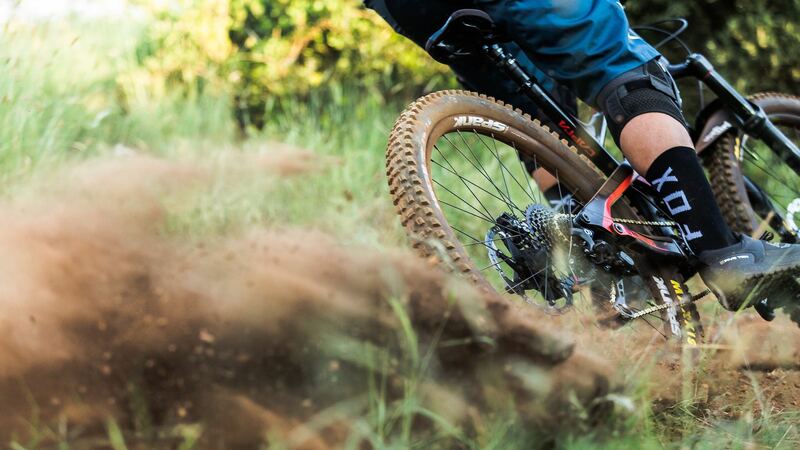 Riding/ racing high-speed rough trails just became that much more fun/ easy. 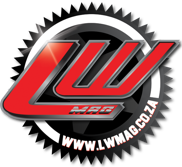 To order your custom build and to get pricing contact Spank’s local approved Wheelbuilder on www.wheelbuilder.co.za/ info@wheelbuilder.co.za / 0832972853. 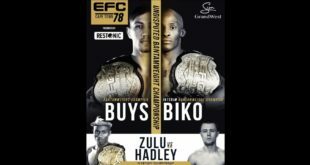 For local dealer enquiries contact International Trade. 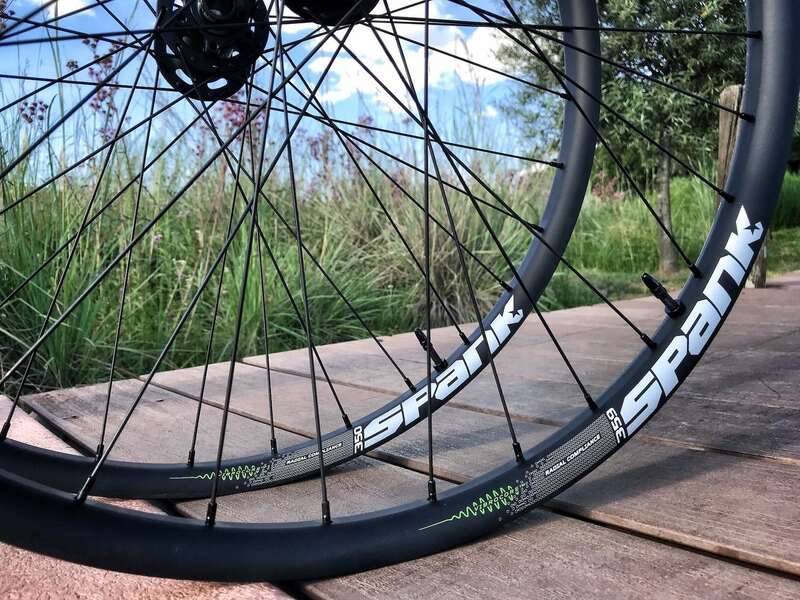 *Another option available is the Spank 350 Vibrocore Tuned 28H Wheelset – Built around Spank’s 28H Oozy straight pull hubs, a non-Vibrocore 17mm sectional depth front rim (minimises weight and enhances compliance to add traction, and reduced front wheel deflection). 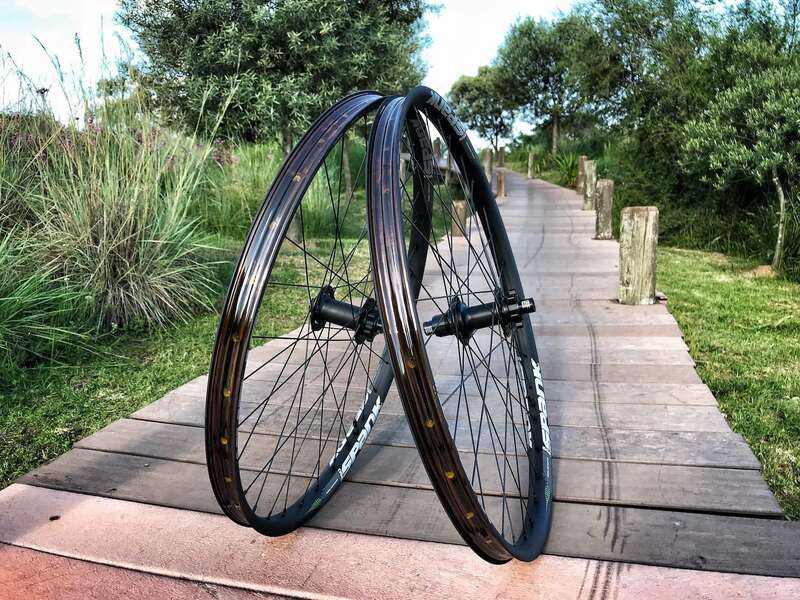 The rear wheel is also built on a highly compliant 17mm sectional depth rim, but uses Vibrocore (adding torsional strength, impact strength, and enhanced damping qualities). Photos by Cory Schmitz and Dom Barnhardt Photography.